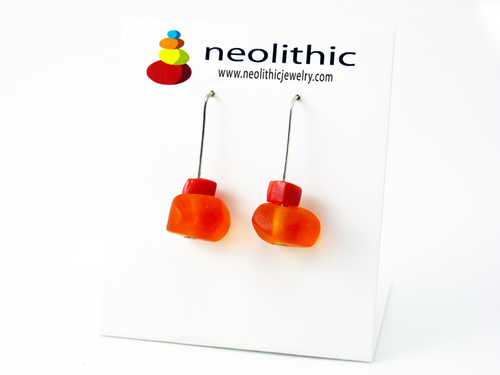 The light shines beautifully through our sunset orange earrings. Handcrafted using resin and handmade glass. 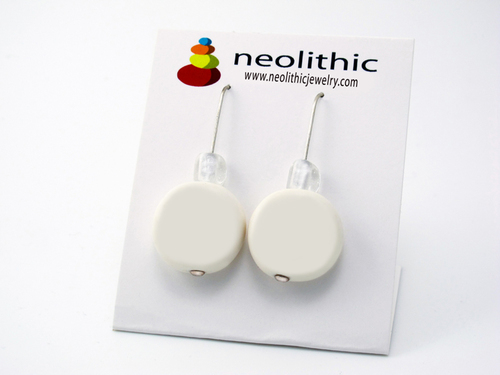 We had the love of on summer on our mind making this pair of unique earrings. 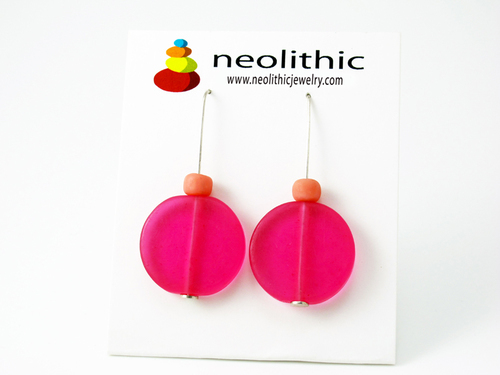 Affectionately named ‘1 Pebble’ our bright orange earrings are funky, fun and fabulous. 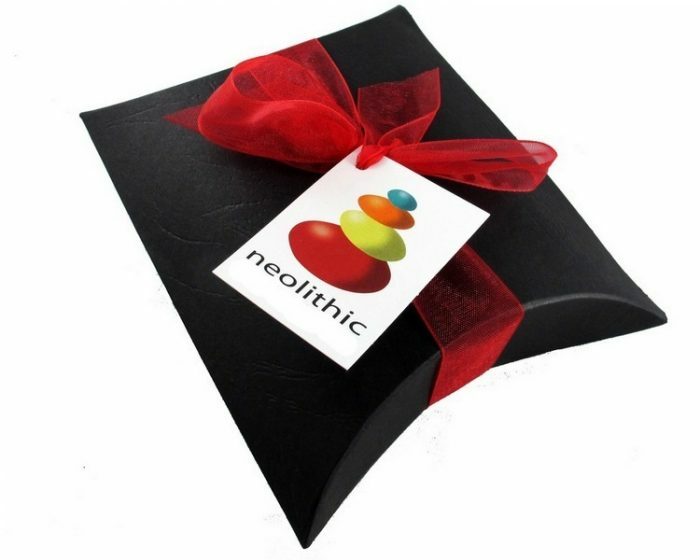 A contemporary accessory that will add a focal point to any outfit and that you will be able to wear throughout the seasons. 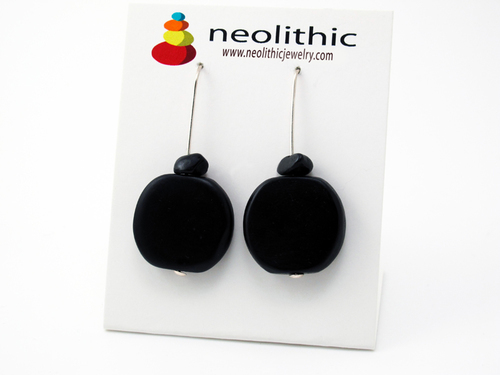 Each bead used to make these bold earrings have been meticulously handsanded and mounted on sterling silver. They are super light weight and comfortable to wear. No two are the same – this is the charm of handmade artisan jewelry. 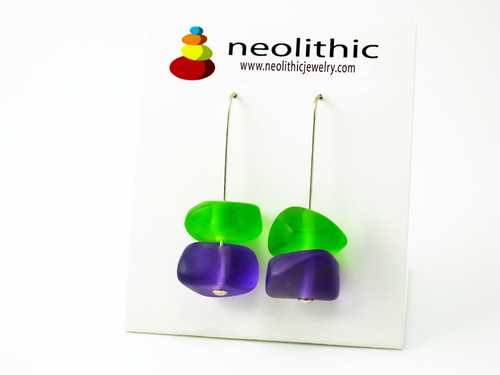 Our earring collection encompasses bright, bold designs and gorgeous classics to take your wardrobe to another level.